It is a gorgeous wrap! It's modern but the weave and pattern and colours are quite traditional at heart. It might not just be the beauty of it but the sense of old-time mamahood that sings to you? That's actually right on the money. I'm very much a person with one foot in the past so I imagine that the sense of heritage associated with the design probably has a big impact on me. Just discovered your blog via Pinterest. I too have lost my head over certain HSA wraps, despite the fact that I'm someone who's too cheap to buy paper towels! For me, it is very much about appreciating beauty. And I have had many non-HSA wraps pass through here as well that I found to be very beautiful. Motherhood itself is beautiful, and these days of wearing our littles are so short. 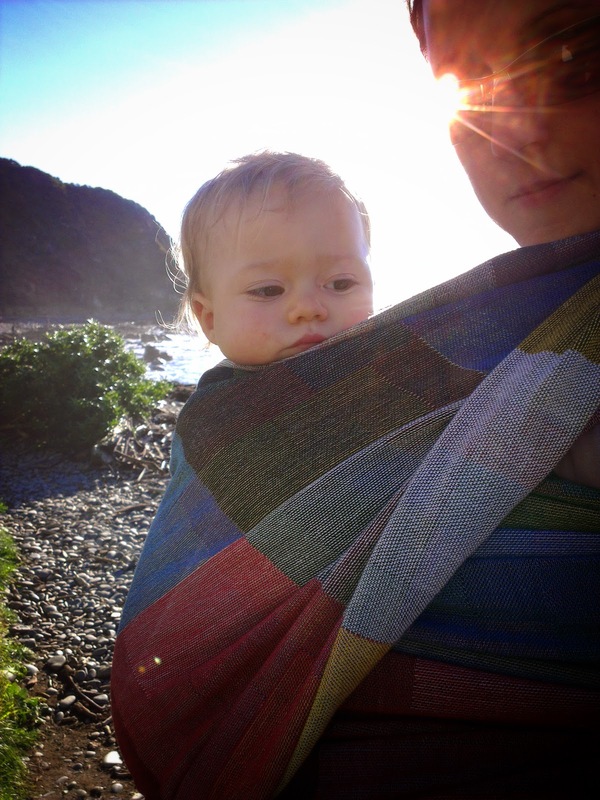 I have found my pretty wraps to be such a great comfort, maybe it's illogical, but it's there all the same. It might be illogical Cate, but I understand exactly what you are saying!